What kind of meetings are you having today? What good things help to describe the awesome you that you are today? What is the reason that some people will never like you? 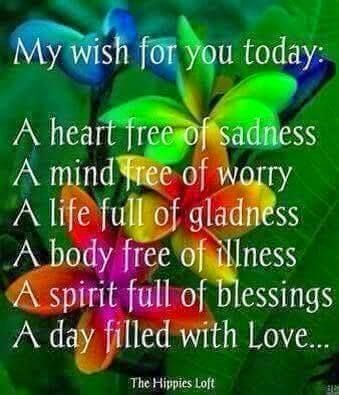 My wishes for you today? How easy is it for you to get caught up in the negativity around you? Where does the beauty of your spirit come from?